Note: This post has been amended with updated information from a reader's comment and from the Special Collections Department at Fogler Library, University of Maine. Vintage photograph of students at the University of Maine, Orono, Maine. The photograph was taken by the Chalmers Studio of Bangor, Maine. The beautiful archway in the background has been identified by a reader as that of Lord Hall. 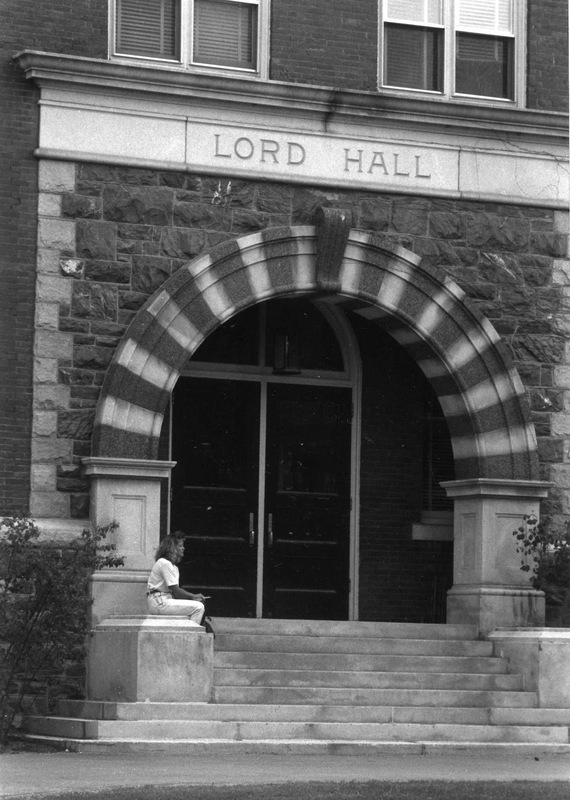 Because of the popularity of this archway as a backdrop, the fact that Lord Hall is in the photograph is not necessarily a clue to the students' discipline, according to Special Collections staff. Special Collections checked yearbooks in what they perceived to be the era of the photograph and could not find a match right away, but they are still looking. If you have an ancestor who attended the University of Maine, you may want to check Fogler's collection of 1895-1997 yearbooks online. Special Collections provided a fuller view of the archway.